The Times of India remains the single most-read English language broadsheet in the world, and the eighth largest selling newspaper. Printed throughout the nation, the newspaper enjoys a circulation of over three million on a daily basis. As similar media organisations have recognised, it has become of vital importance in identifying the benefits of web-based reportage. In doing so, the Times has built one of the most successful and celebrated websites of the numerous daily broadsheets. 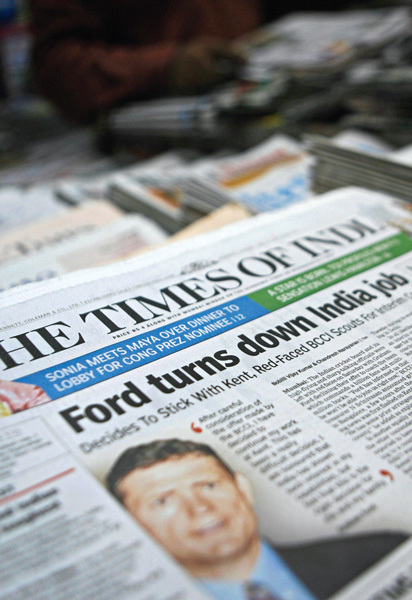 Early in 2009, TOI online received more visitors than its competitors, with 159 million page views in the month of May.